Over the last few weeks, I’ve been trying some different facial cleansing wipes. Since I am on the go, quite a bit with and without my children, I have to have these in my purse. Ever since I’ve had my first child, I have always toted around a small packet of wipes. That goes back to when my mom used to keep all the KFC towelette packets in her purse. She was definitely right because I’ve had to reach for a wipe or two wiping fingers and mouths from my kids! I was happy to see that they finally have facial cleansing wipes available which smell more “adult” and less “toddler”. 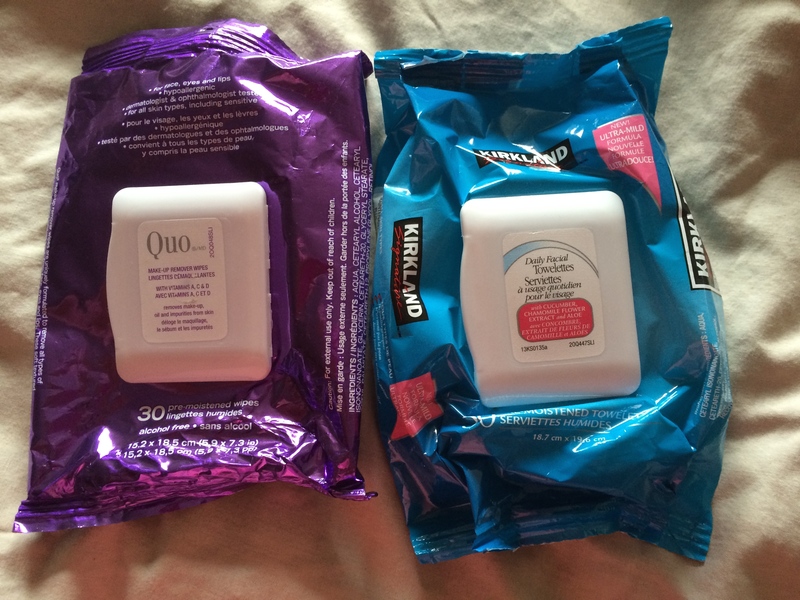 I went to my local Shoppers Drug Mart and found that Quo (their exclusive brand) had started selling their Quo Make-Up Remover Wipes. I tried two packages, so approximately 1-2 months worth from this company. The scent is pleasant and at first I was nervous about whether my combination skin would get irritated. To my surprise the formula is pleasant and non-drying nor did it irritate my skin. It even managed to remove several layers of non-waterproof and waterproof mascara. 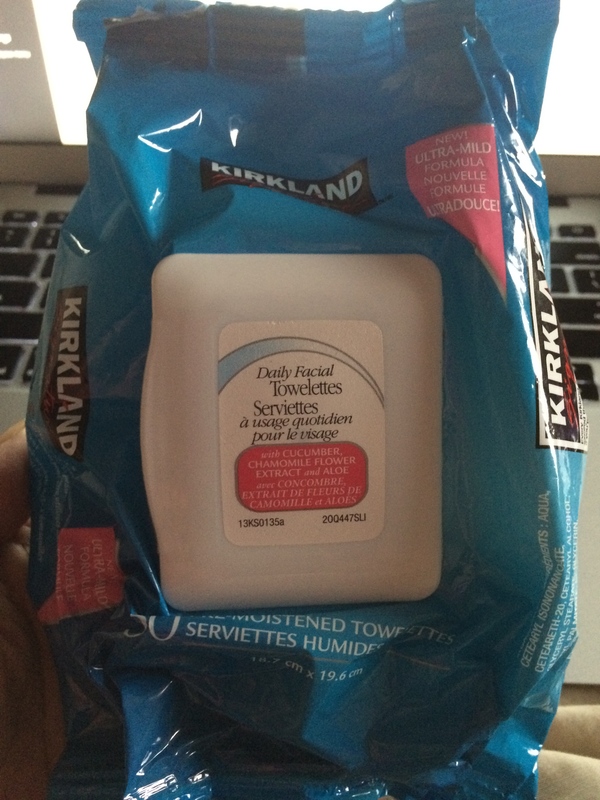 A couple weeks ago I was shopping at Costco and found Kirkland Signature Daily Facial Towelettes. It came in a box of a total of 150 sheets in 30 sheet and 15 sheet packages. 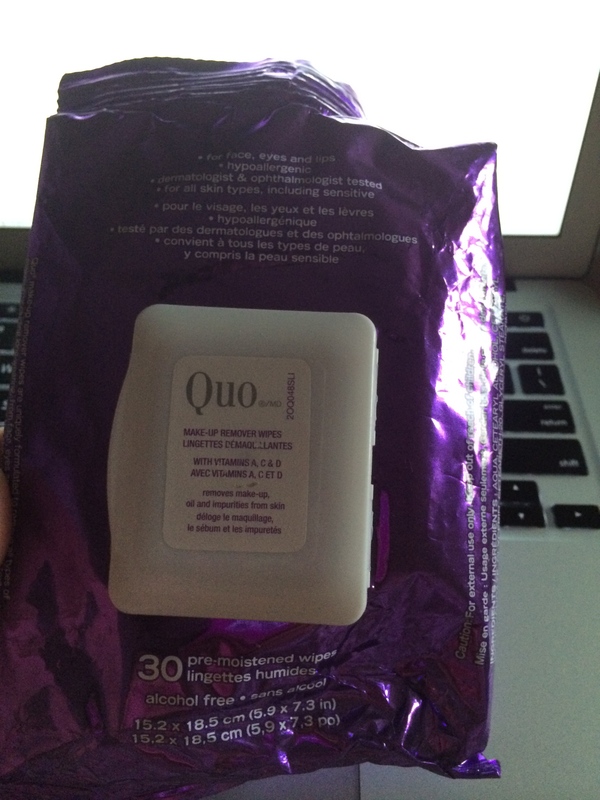 I was running low on my Quo wipes so I decided to try it out and see if it was comparable. I was pleasantly surprised to know that the Kirkland and Quo brands both smell incredibly similar. The Quo brand is a little stronger in scent but the Kirkland formula worked equally as well. Depending on how much mascara I put on. I did have to use extra sheets, or hold the wipe on my lashes until the formula could dissolve the mascara enough to gently remove it. No skin irritations either!